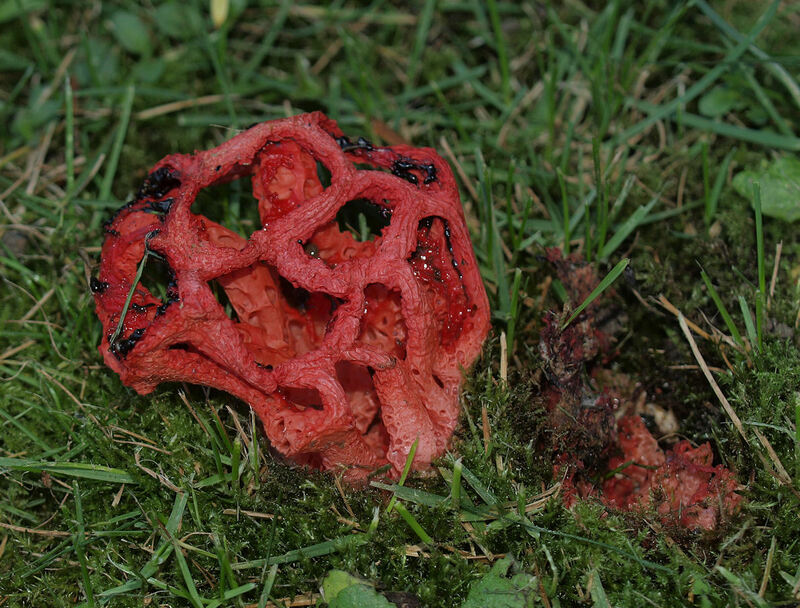 Banstead Botany Blog: Clathrus ruber - science fiction? 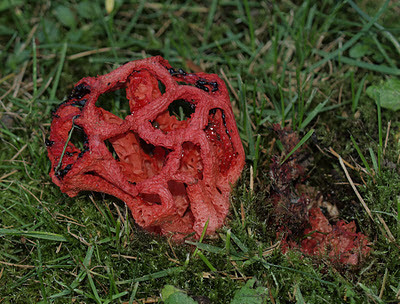 Clathrus ruber - science fiction? 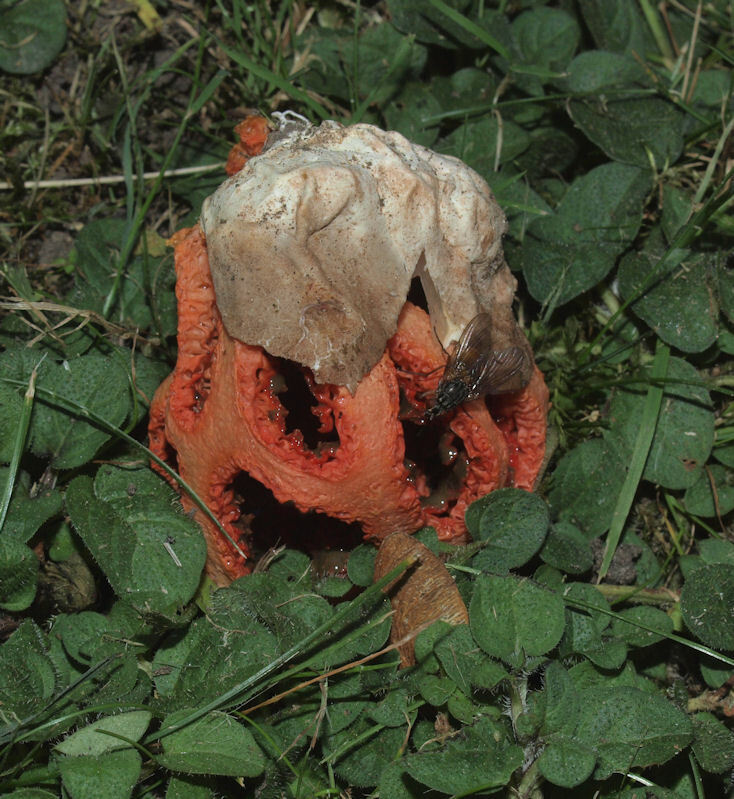 Sometimes the natural world throws up sometime totally off the wall and I think that this is the case with Clathrus ruber, a fungus related to the more "normal" Stinkhorns although it bears no similarity in appearance to them. More like a mockup of a brightly-coloured geodesic dome for use in Dr Who! My photos were taken this week, in of all places Banstead High Street where it has been appearing roughly at this time each year for at least the past three years on what was originally a pile of wood chippings. I never seem able to capture a perfect mature specimen, the one in the upper picture is starting to autodigest and the other has only just burst out of its"eggskin". Like Stinkhorns it has a fetid smell and attracts flies as confirmed by the second picture. Looking it up I find it is a native of the Meditteranean but has been spreading northwards in Europe! Definitely an oddball! Hi John, I've searched for this up and down Banstead High Street without any luck - could you please give me a clue as to where it is? I'm most probably too late for this year.